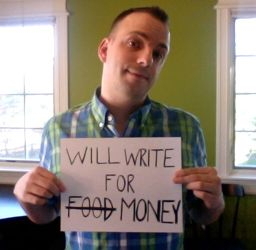 Mothers like to tell their children, “You are what you eat.” Matt Alderton, however, believes you are what you write. And he’s a little bit of everything. Matt always knew he’d be a writer. His first grade teacher predicted it. So did his mother. Sure, there were moments when he wanted to be an architect, or a lawyer, or a professional tight-rope walker — for a while, enthralled with monster movies, he even wanted to be a professional vampire — but inevitably, he always returned to words. 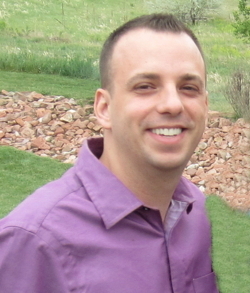 Although he’s originally from Denver, in 2000 Matt moved to Chicago, where he’s spent more than a decade building his career as a professional writer, editor and journalist. A full-time freelancer since 2007, Matt’s written hundreds of articles for dozens of publications and worked on scores of corporate writing projects, including marketing campaigns, press releases, books and blogs. Matt has a bachelor’s degree in journalism from Northwestern University’s Medill School of Journalism, where he studied magazine journalism, and a master’s degree in creative writing, also from Northwestern. He lives on the North Side of Chicago with his partner and their dog, Roxy, who shares his love for sunshine and cheeseburgers.